For the 15th anniversary of 9/11, Colorado's PBS station, CPT12, has produced a most awesome 9/11 documentary. Titled "Demolition of Truth: Psychologists Examine 9/11," this incisive production honors the many victims of this great tragedy, yet also finds many revealing problems with the official story of 9/11. Watch it free at the link below and tell your friends. Many respected senior members of the military, intelligence services, and government have also expressed significant criticism of the official story and the 9/11 Commission Report. Some even allege government complicity in the terrible acts of 9/11. Below are the highly revealing public statements on this vital topic of just 20 of the many prominent public servants who have spoken out. Links are included for verification and further investigation. The collective voices of these respected senior officials along with over 100 esteemed professors, over 250 pilots and aviation professionals, and over 2,500 architects and engineers give credibility to the claim that the 9/11 Commission Report is tragically flawed. These dedicated individuals from across the political spectrum are not irresponsible believers in some 9/11 conspiracy theory. Their sincere concern, backed by decades of service to their country, demonstrate that criticism of the 9/11 Commission Report is not only reasonable and responsible, it is in fact a patriotic duty. Please help to spread the word and call for a new investigation. Note: For more on what you can do to make a difference, see the box at the end of this message. 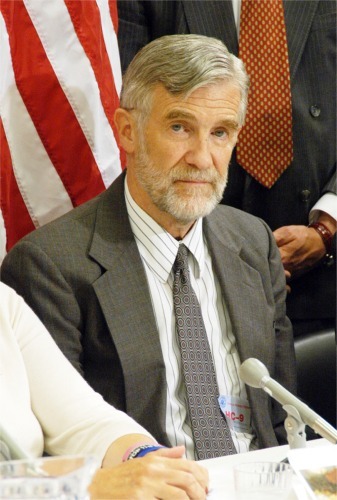 Senator Max Cleland – Former member of the 9/11 Commission, resigned December 2003. U.S. 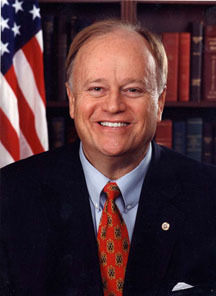 Senator from Georgia 1996-2002. Currently serves on the board of directors of the Export-Import Bank of the United States. Administrator of U.S. Veterans Administration 1977-1981. Awarded Silver Star and Bronze Star for U.S. Army bravery in Viet Nam. Triple amputee from war injuries. Boston Globe Article 11/13/03: "If this decision stands [to limit 9/11 Commission access to White House documents], I, as a member of the commission, cannot look any American in the eye, especially family members of victims, and say the commission had full access. This investigation is now compromised." 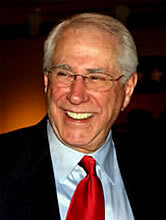 Senator Mike Gravel – U.S. Senator from Alaska 1969 - 1980. He is most well known for entering over 4,000 pages of the Pentagon Papers into the U.S. Senate record, thus making public the secret official study that revealed the lies and manipulations of successive U.S. administrations that misled the country into the Vietnam War. Huffington Post article 9/10/07: "This September 11th, I am going to give a speech at the UN calling for a new, truly independent 9//11 Commission. This commission would investigate unanswered questions, including the historical causes of the attack and the manifold failures of our government before and after the event. Unlike the first investigation, this commission should be granted subpoena power and full access to all governmental files and personnel. George Bush should be forced to testify alone." National Press Club speech 9/9/10: "The [9/11 Commission's] investigation was not what we call an investigation. It was to develop a storyline of what happened to be fed to the American people and to receive their acquiescence. Victims' family members ... have said that only a fourth of their well researched questions were answered." 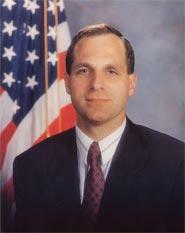 Louis Freeh – Director of FBI, 1993-2001. Former U.S. District Court Judge for Southern District of New York, appointed by President George H.W. Bush. Former Deputy United States Attorney in New York. Former FBI agent. Former officer in United States Army. Wall Street Journal 11/17/05: "Even the most junior investigator would immediately know that the name and photo ID of [lead 9/11 hijacker Mohammed] Atta in 2000 is precisely the kind of tactical intelligence the FBI has many times employed to prevent attacks and arrest terrorists. Yet the 9/11 Commission inexplicably concluded that it 'was not historically significant.' This astounding conclusion—in combination with the failure to investigate Able Danger and incorporate it into its findings—raises serious challenges to the commission's credibility and, if the facts prove out, might just render the commission historically insignificant itself. No wonder the 9/11 families were outraged by these revelations and called for a 'new' commission." General Albert Stubblebine, U.S. Army (ret) – Commanding General of Army Intelligence and Security Command (INSCOM), 1981 - 1984. Also commanded U.S. Army's Intelligence Center. Former head of Imagery Interpretation for Scientific and Technical Intelligence. 32-year Army career. Inducted into the Military Intelligence Hall of Fame in 1990. Video: "One of my experiences in the Army was being in charge of the Army's Imagery Interpretation for Scientific and Technical Intelligence during the Cold War. I measured pieces of Soviet equipment from photographs. It was my job. I look at the hole in the Pentagon and I look at the size of an airplane that was supposed to have hit the Pentagon. And I said, ‘The plane does not fit in that hole'. So what did hit the Pentagon? What hit it? Where is it? What's going on?" http://www.undersiegemovie.com... . Another video of General Stubblebine's testimony is available here. Col. Robert Bowman, PhD, U.S. Air Force (ret) – Director of Advanced Space Programs Development under Presidents Ford and Carter. Air Force fighter pilot, over 100 combat missions. PhD in Aeronautics, Nuclear Engineering. Raymond L. McGovern – Former Chairman, National Intelligence Estimates, CIA. Responsible for President's Daily Brief (PDB) for Ronald Reagan and George H.W. Bush. 27-year CIA veteran. Former U.S. Army Intelligence Officer. 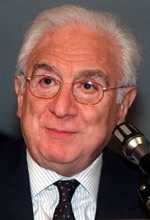 Francesco Cossiga – President of Italy, 1985-1992. Also served as Former Prime Minister, Undersecretary for Defense, and President of the Italian Senate. 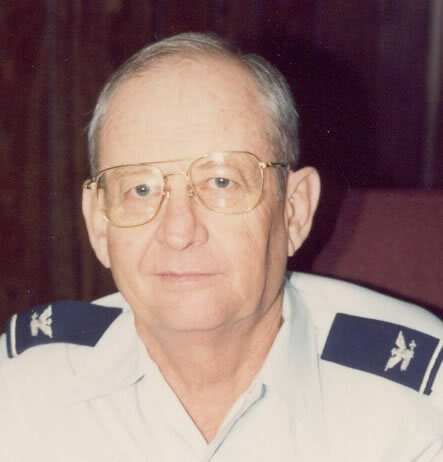 Col. George Nelson, U.S. Air Force (ret) – Former U.S. Air Force aircraft accident investigator and airplane parts authority. 34-year Air Force career. Essay: "The government alleges that four wide-body airliners crashed on the morning of September 11 2001, resulting in the deaths of more than 3,000 human beings, yet not one piece of hard aircraft evidence has been produced in an attempt to positively identify any of the four aircraft. On the contrary, it seems only that all potential evidence was deliberately kept hidden. With all the evidence readily available at the Pentagon crash site, any unbiased rational investigator could only conclude that a Boeing 757 did not fly into the Pentagon. Similarly, with all the evidence available at the Pennsylvania crash site, it was most doubtful that a passenger airliner caused the obvious hole in the ground and certainly not the Boeing 757 as alleged. As painful and heartbreaking as was the loss of innocent lives and the lingering health problems of thousands more, a most troublesome and nightmarish probability remains that so many Americans appear to be involved in the most heinous conspiracy in our country's history." 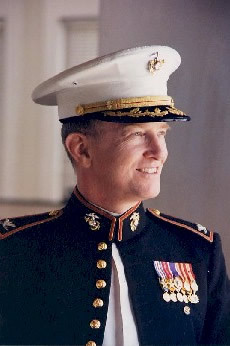 Col. Ronald D. Ray, U.S. Marine Corps (ret) – Deputy Assistant Secretary of Defense during Reagan Administration. Highly decorated Vietnam veteran (two Silver Stars, a Bronze Star and a Purple Heart). Appointed by President George H.W. Bush to serve on American Battle Monuments Commission. 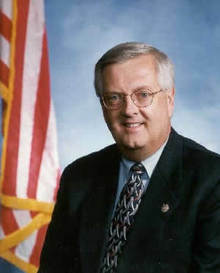 From 1990 to 1994, served as Military Historian and Deputy Director of Field Operations for U.S. Marine Corps Historical Center, Washington, D.C.
Rep. Curt Weldon – Ten-term Republican Congressman from Pennsylvania. House Armed Services Committee Vice Chairman. Homeland Security Committee Vice Chairman. "Intelligence officers ... identified [lead 9/11 hijacker] Mohammed Atta and three terrorists a year before 9/11, tried to transfer that information to the FBI, were denied, and the FBI Director has now said ... the FBI could have used it to perhaps prevent the hijackings. The 9/11 Commission totally ignored this entire story. I am a strong supporter of our military. I am a strong supporter of President Bush. I say all of that, Mr. Speaker, because ... there is something desperately wrong here. 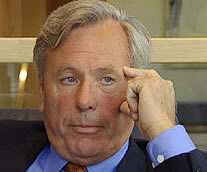 I have met with at least 10 people who fully corroborate what [intelligence officer] Tony Shaffer says. This is not [about] Republicans or Democrats. It is about what is fundamental to this country." Fox News 8/28/05: "'There's something very sinister going on here that really troubles me,' Weldon told Fox News on Thursday, blasting the 9/11 commission for not taking the claims more seriously. He said some panel members were trying to smear Shaffer and Able Danger. 'What's the 9/11 commission got to hide?'" 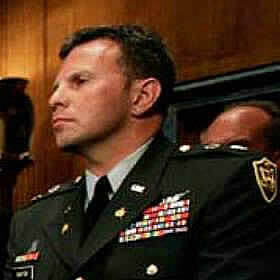 Lt. Col. Anthony Shaffer, U.S. Army (ret) – Former Military Intelligence Officer, Defense Intelligence Agency. 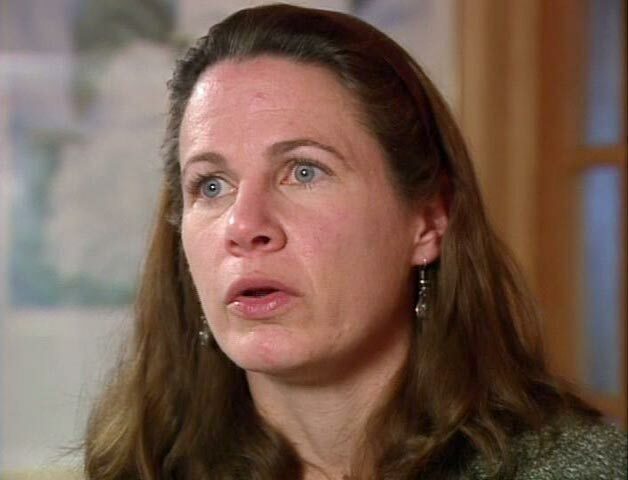 Member of Able Danger effort to target Al Qaeda's global structure. Former Chief of the Army's HUMINT [Human Intelligence] program. Awarded the Bronze Star for bravery for the first of his two combat tours to Afghanistan. 23-year military intelligence career. 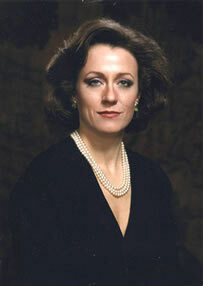 Lt. Col. Karen Kwiatkowski, PhD, U.S. Air Force (ret) – Former Political-Military Affairs Officer in the Office of the Secretary of Defense. Staff Member, Office of Director of the National Security Agency. 20-year Air Force veteran. 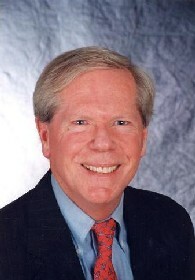 Paul Craig Roberts, PhD – Assistant Secretary of the U.S. Treasury under Ronald Reagan. "Father of Reaganomics." Former Associate Editor of the Wall Street Journal. Currently Chairman of the Institute for Political Economy and Research Fellow at the Independent Institute. 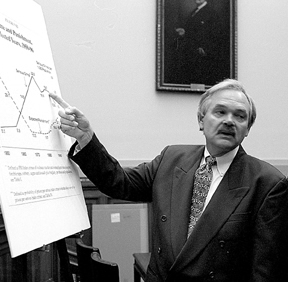 Morgan Reynolds, PhD – Chief Economist, Department of Labor under George W. Bush 2001-2002. Former Director of the Criminal Justice Center at the National Center for Policy Analysis. Professor Emeritus, Texas A&M University. Catherine Austin Fitts – Assistant Secretary of Housing under George H.W. Bush. 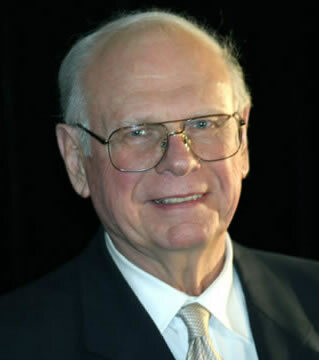 Former Managing Director of Wall Street investment bank, Dillon, Read & Co.
Paul Hellyer – Former Minister of National Defense of Canada. Former Deputy Prime Minister. Former Member of House of Commons. Andreas von Buelow, PhD – Former State Secretary of the Federal Ministry of Defense of West Germany. Former Minister of Research and Technology. Member of Bundestag (Parliament) 1969-1994. 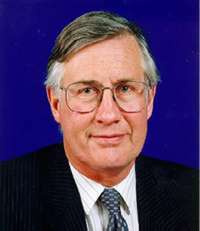 Michael Meacher – Former Under Secretary for Industry, Under Secretary for Health and Social Security, Minister of Environment, and Member of the House of Commons (UK). 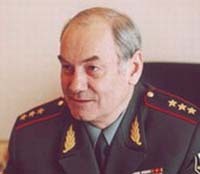 General Leonid Ivashov – Joint Chief of Staff of Russian Armies on 9/11/2001. Chief of Department for General Affairs in Soviet Union's Ministry of Defense. Chief of Military Cooperation Department at Russian Federation's Ministry of Defense. Secretary of Council of Defense Ministers of Community of Independant States (CIS). 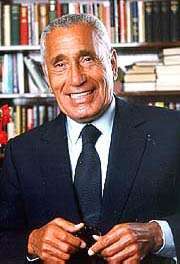 Mohamed Hassanein Heikal – Former Foreign Minister of Egypt. Adviser to Egyptian Presidents Nasser and Sadat. Renowned Journalist and Editor. Article in one of U.K.'s leading newspapers The Guardian: Regarding 9/11: "Bin Laden does not have the capabilities for an operation of this magnitude. When I hear Bush talking about al-Qaida as if it was Nazi Germany or the communist party of the Soviet Union, I laugh because I know what is there. Bin Laden has been under surveillance for years: every telephone call was monitored and al-Qaida has been penetrated by American intelligence, Pakistani intelligence, Saudi intelligence, Egyptian intelligence. They could not have kept secret an operation that required such a degree of organisation and sophistication." Contact your media and political representatives to inform them of this vital information on 9/11. Urge them to call for the release of classified documents and videos and to press for a new, impartial investigation. Explore the wealth of reliable, verifiable information on 9/11, including several excellent documentaries, revealing news articles, and much more in our 9/11 Information Center. Spread this news on 9/11 to your friends and colleagues, and recommend this article on key social networking websites so that we can fill the role at which the major media is sadly failing. Together, we can make a difference.